Choose one or combine both of these value-priced voyage/land programs, enjoying generous comfort aboard the 216-cabin Aegean Odyssey. Her cabins are spacious, modern, and intelligently designed, and you can choose from a wide range of cabin types, from inside cabins, to cabins with portholes or picture windows, to luxurious suites with balconies. If you choose to combine the two programs as the Grand Voyage, you will receive free airfare! These are value-priced premium learning adventures, co-sponsored by other organizations. Take advantage of early booking discounts, called "Saver Fares"! These Saver Fares are subject to change and capacity controlled, and may be withdrawn at any time (in which case "Full Fares" will apply), so we encourage you to reserve your preferred cabin now! Dalmatia & Ancient Greece travelers disembark, Grand Voyage travelers continue on as a group. Continue your journey with travelers on the Classical Greece & Islands of the Aegean voyage. 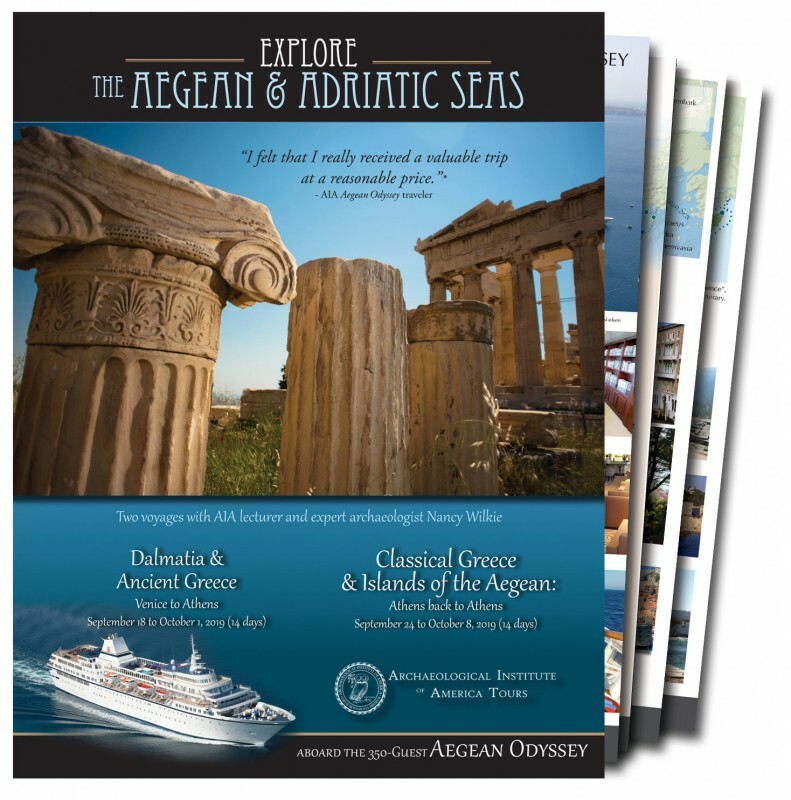 Download the detailed itineraries for this voyage as well as the Classical Greece & Islands of the Aegean and the Dalmatia and Ancient Greece programs.